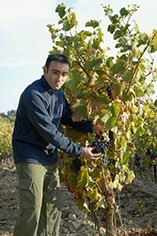 André Romero has been dubbed the `Superstar of Rasteau' by no less a figure than Robert Parker, and is equally passionate about his wines and his beloved Marseilles football club. On current form, his wines are in far better shape. Self-taught and adhering to the virtues of low yields and extended fermentation, Romero has invested in an automatic pigeage system along Burgundian lines which ensures maximum extraction. The resulting wine is soft, yet sturdy, with berry flavours and a whiff of wood-smoke betraying its provenance. Made from 70 % Grenache, with the balance shared by Syrah and Mourvdre, this is a stunning effort. 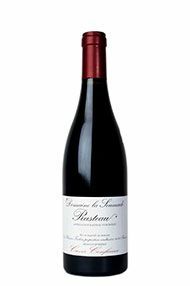 Liqueur de cassis, kirsch and macerated plums on the palate but the most astonishing feature is the wonderful floral aromatics with violets and even bacon rind reminiscent of a fine Cte Rtie. Old vine Grenache at its very best. Our pilgrimage to Romeros pre et fils was more difficult than usual this year; there was a route barre sign at one end of the only approach roadfair enough.but then 10 minutes later there was another one at the other end of the same road. The detour was worth it, of course. The unique clay-based terroir is now given more expression as the barriques have been removed, probably at significant expense, and replaced by larger upright foudres, which allow the full aromatic potential of these low-yielding vines full and eloquent expression.